Romantic new garden for the cafe in Chiswick Park? Evidently, English Heritage staff have become avid followers of this blog. In August 2010, we criticised the new cafe for being in a sea of bitmac. Now it is surrounded (top photo) by an attractive surfacing with the friendly name of ‘tar and chips’. We therefore urge EH to take another step and implement the proposal in the lower photograph. But when I visited the park today a nice man came running towards me and advised that if seen on my bike again the fine would be £8. 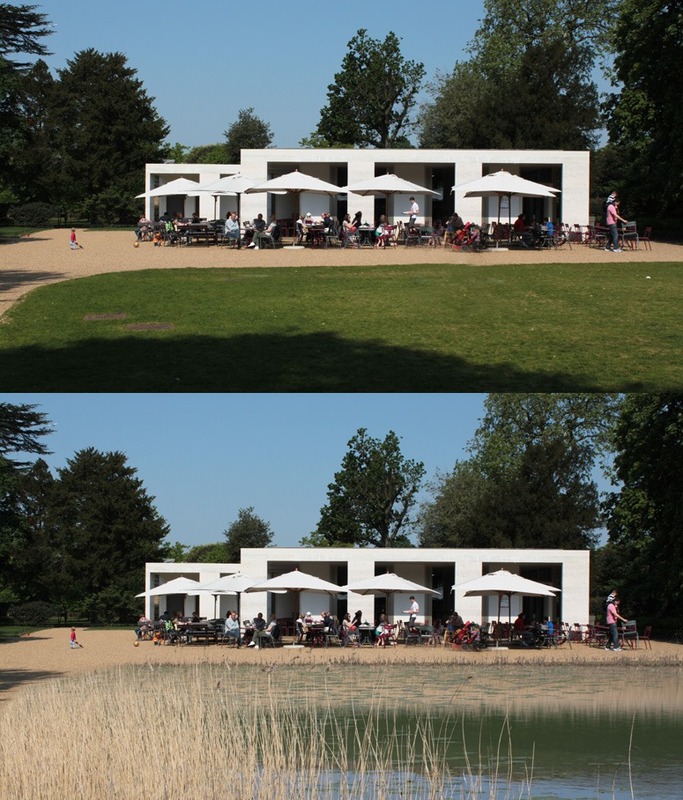 I should not have made this comment in August 2010: ‘I have always had a soft spot for Chiswick House and Park: my Mum used to play there; it is a key project in William Kent’s design progress; it is the only park or garden in the world where a uniformed official has told me that “you can ride your bicycle here if you want to”‘. 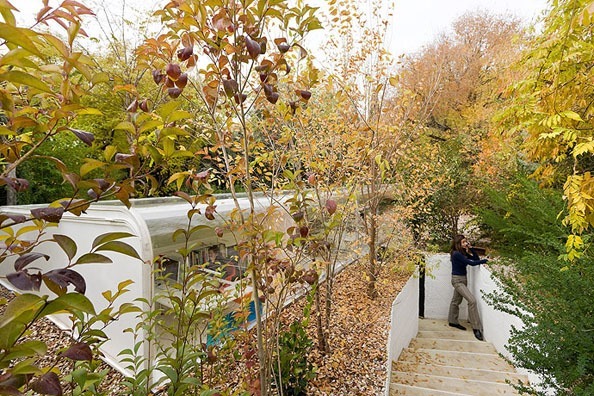 This entry was posted in garden history, Garden Visiting, London urban design on 30th April 2011 by Tom Turner. Might King Will and Queen Kate restore pagan tree-worship to its rightful place in British culture? 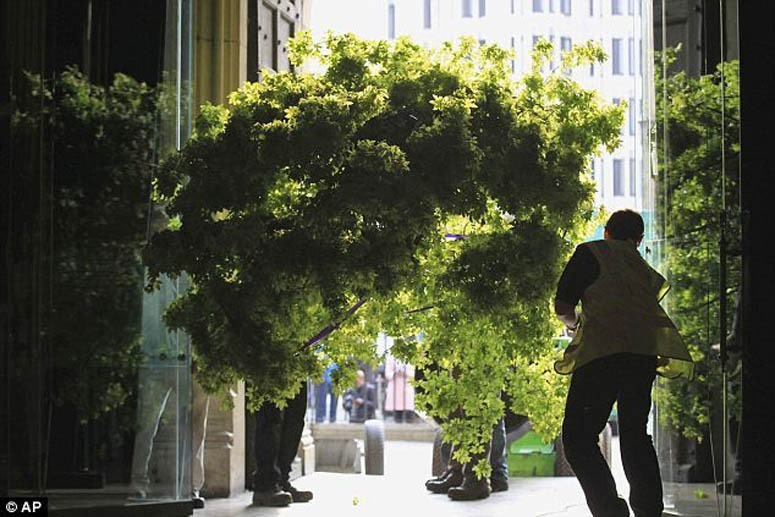 Sacred trees entering Westminster Abbey and contemporary Britain? The Daily Mail reports that ‘Miss Middleton, 29, who studied history of art at St Andrew’s, has devised a theme which she says ‘pays tribute to the Language of Flowers’ – an idea that is bound to have gone down well with her gardening-obsessed father-in-law, Prince Charles, who famously admitted that he talks to his plants’. One wonders if her history of art course included what little is known of paganism in the British Isles. Prince Charles wanted to become the ‘defender of faiths’ (instead of merely the Defender of Faith (Fidei Defensor). 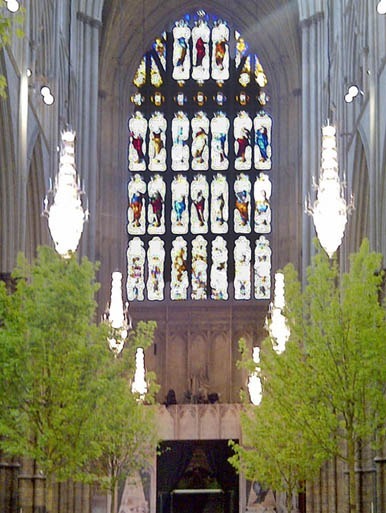 As the AP photograph shows, she has used trees to decorate Westminster Abbey. Tree worship was common throughout Europe before the advent of Christianity. I might become a strong supporter of the monarchy if the King Will and Queen Kate restore paganism to its proper place as one of the world’s major ‘religions’. It has a kinship with Hinduism, Daoism, Shinto and the religions of pre-Islamic West Asia. I wish the young couple well but was not pleased to hear that the Metropolitan Police would deal harshly with protestors. Why shouldn’t we protest against vicious despots being invited to Britain and protected with millions of pounds from the public purse? It made me wonder about a small protest of my own. The best I could think of was sticking a postage stamp to the pavement outside Westminster Abbey and taking a video of people treading upon it. 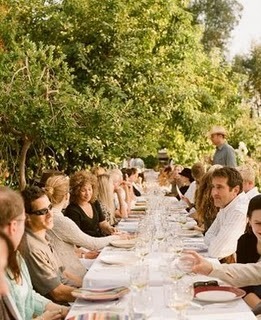 Instead, I will remember the trees and send and send Will & Kate every good wish from Gardenvisit.com. Like them, I am an alumni if St Andrews University. 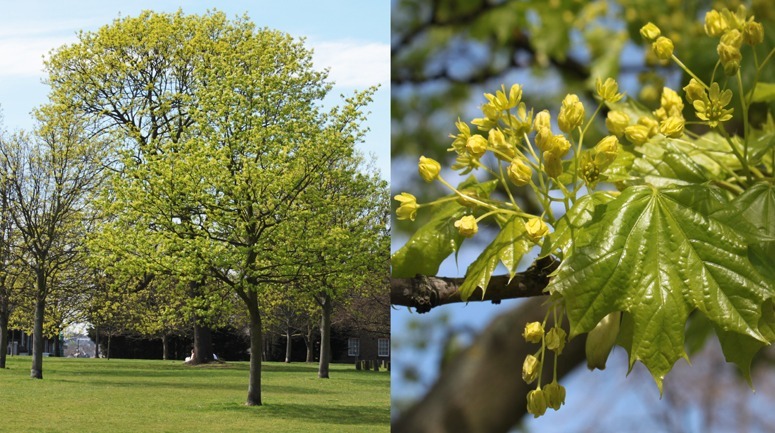 This entry was posted in Asian gardens and landscapes, garden history, urban forestry on 29th April 2011 by Tom Turner. Forest architecture: work, play, live? 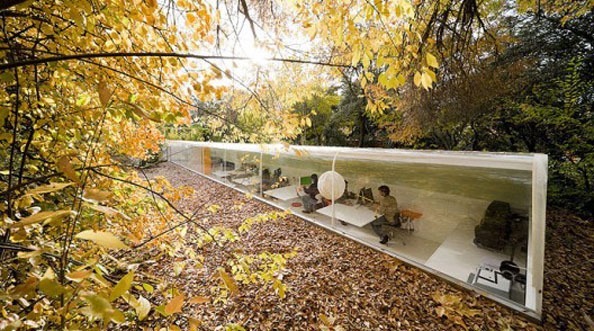 Working, living and playing in a forest environment: is it possible?Selgas Cano’s architectural office near Madrid suggests so. Although critiques of the scheme suggest the ‘look but don’t touch’ approach of the sealed glazing is a limitation of the scheme. Natural ventilation is provided by a hinged pulley system at one end of the building. Singapore’s Telok Blangah Hill Park’s forest walk constructed 60 feet above the ground demonstrates the ‘gem’ like qualities of a highly urbanised rainforest. Forest green space is valued and rare. One way to preserve the forest, yet to provide visual and physical recreational access, is to construct a forest walk. New questions arise. Do forests and their inhabitants suffer from noise pollution with large visitor numbers? The forest is home to squirrels, sunbirds, doves, lizards and white-crested laughing thrushes. And then there is Zaha Hadid’s Capital Hill residence located in Barvikha Forest, Russia – taking forest dwelling to new heights. This entry was posted in context-sensitive design, Garden Design, Landscape Architecture, landscape planning on 27th April 2011 by Christine. What were bronze age hillforts, like Earnsheugh, used for? Why would someone want to live in a Bronze Age hillfort? The high point in these images is a ‘hillfort’ 150m above the North Sea and with nothing but water and ice between this point and the north pole. The name ‘hill-fort’ suggests a fort on a hill. Archaeologists have never been happy with this term but are unable to think of anything better. Hillforts were made about 2500 years ago, in many parts of NW Europe, and there is no firm evidence concerning their use. Some hillforts are thought to have been military, some residential (many contain hut circles), some religious. The hillfort at Earnsheugh in Berwickshire, in the above photographs, would seem a very odd choice for a residential site, even if for a tribe which enjoyed seaviews as much as I do. It also seems an odd choice for a military site, because it would be so easy to starve out the occupants. So what were hillforts used for? An archaeological dig at Fin Cop in the Peak District has been in the news this week with interpretations of why the skeletons of women and children, only, have been found. http://www.archaeologicalresearchservices.com/projects/fincop.html http://www.thisisderbyshire.co.uk/news/Mass-grave-holds-evidence-horrific-massacre-Iron-Age/article-3461045-detail/article.html Some newspapers have suggested they were sacrificial sites. Heaven knows. The unusual semi-circular form of the Earnsheugh hillfort may result from 2400 years of erosion. 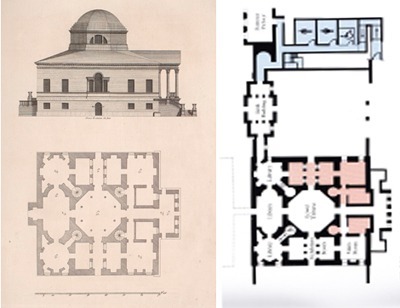 Vitruvius’ account of the aims of construction was: Commodity, Firmness and Delight. Which of these qualities, if any, does Earnsheugh have? It is a great place fort a walk, if you do not suffer from vertigo, but why would anyone want protection from the landward side when visiting the place? Is it an example of ‘landscape architecture’? This entry was posted in landscape and garden archaeology on 20th April 2011 by Tom Turner. Chestunt yields range from 1-5 tonnes per hectare (this figure could be raised by careful management). A good individual chestnut tree may yield up to 25 kg per year. Rice yields, in the Phillipines, were raised from 1.16 tons per hectare in 1960 (according to the United Nations Food and Agriculture Organization) to 3.59 tons per hectare in 2009. The yield from organic rice is about one third the yield for intensively farmed rice. Chestnut timber is highly valued and is said to be more durable that oak when used outdoors. 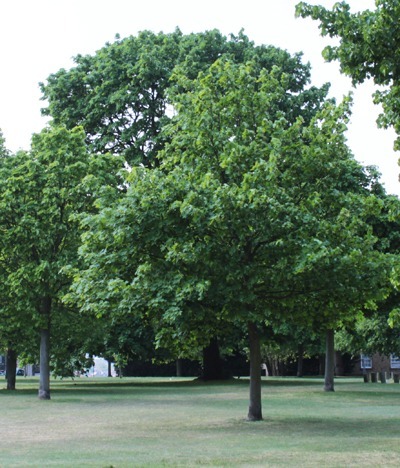 The land beneath and around the chestnut trees in Greenwich Park was used for grazing deer, which provided organic meat. Chestnuts, unlike other nuts and seeds, are relatively low in calories; contain less fat but are rich in minerals, vitamins and phyto-nutrients that benefit health. Nutritionally, chestnuts are similar to other starchy foods such as sweet potato, sweet corn, potatoes etc, consisting of mainly starch. However, they also contain high quality proteins. Chestnuts are good source of dietary fiber; they provide 8.1 g (about 21% of RDI) per 100 g. Fiber diet helps lower blood cholesterol levels by remove excess cholesterol absorbing in the intestines. Chestnuts stand out from other nuts and seeds because of their nutrition contents. They are exceptionally rich in vitamin-C. 100 g nuts provide 43 mg of vitamin C (72 % of DRI). Vitamin C is essential for the formation of matrix in teeth, bones and blood vessels. Being a strong anti-oxidant, it offers protection from harmful free radicals. Chestnuts are the one of the nuts rich in folates. 100 g nuts provide 62 mg of folates (or 15.5%). Folic acid is required for the formation of red blood cells, DNA synthesis. Adequate consumption of food rich in folates during peri-conception period helps prevent neural tube defects in the fetus. Chestnuts are a rich source of mono-unsaturated fatty like oleic acid (18:1) and palmitoleic acids (16:1). Studies suggest that monounsaturated fats in the diet help lower total as well as LDL (bad cholesterol) and increase HDL (good cholesterol) levels in the blood. Mediterranean diet which is rich in dietary fiber, monounsaturated fatty acids, omega fatty acids and antioxidants help prevent coronary artery disease and strokes by favoring healthy blood lipid profile. Chestnuts are an excellent source of minerals such as iron, calcium, potassium, magnesium, manganese, phosphorus and zinc. Provide very good amount of potassium (518 mcg / 100 g). Potassium helps counter hypertensive action of sodium, lowers heart rate and blood pressure. Iron helps prevent microcytic-anemia. Magnesium and phosphorus are important components of bone metabolism. Chestnuts are also rich in many important B-complex groups of vitamins. 100 g of nuts provide 11% of niacin, 29% of pyridoxine (vit.B-6), 100% of thiamin, and 12% of riboflavin. Chestnuts, like hazelnuts and almonds, are free in gluten and therefore popular ingredient in the preparation of gluten free food formulas for gluten-sensitive, wheat allergy and celiac disease persons. The Chinese Chestnut (Castanea mollissima) is particularly rich in vitamin A. It provides 202 IU per 100 g.
AND DON’T FORGET: Chestnuts are delicious. 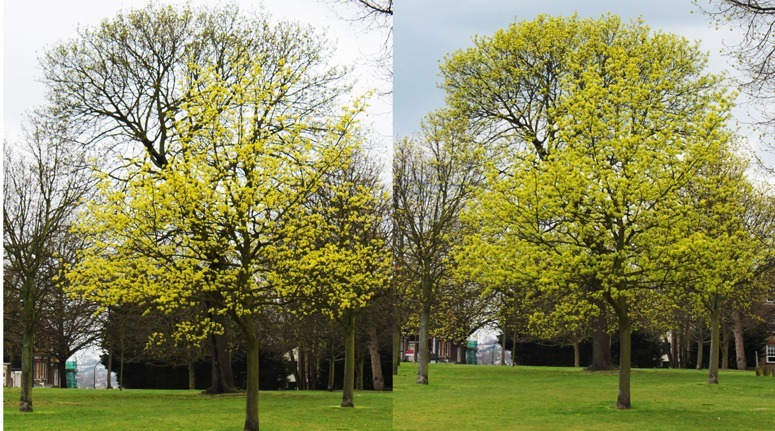 This entry was posted in Sustainable design, urban food, urban forestry on 15th April 2011 by Tom Turner. Modern life presents numerous paradoxes. Perhaps the first is the widespread trade in food produce and the convenience of supermarket shopping, that has somehow alienated society from the concept that all food is land or sea based. And this means – land area & sea area – must be used, managed and preserved for this purpose, generally in some direct relationship with the population that must be feed. Can all nations feed their own populations within the bounds of their own land and sea resources? 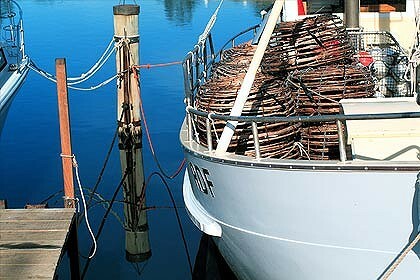 How is sustainable agriculture and aquaculture to be understood? This entry was posted in context-sensitive design, garden history, Landscape Architecture, landscape planning, landscape urbanism, urban densification on 9th April 2011 by Christine. 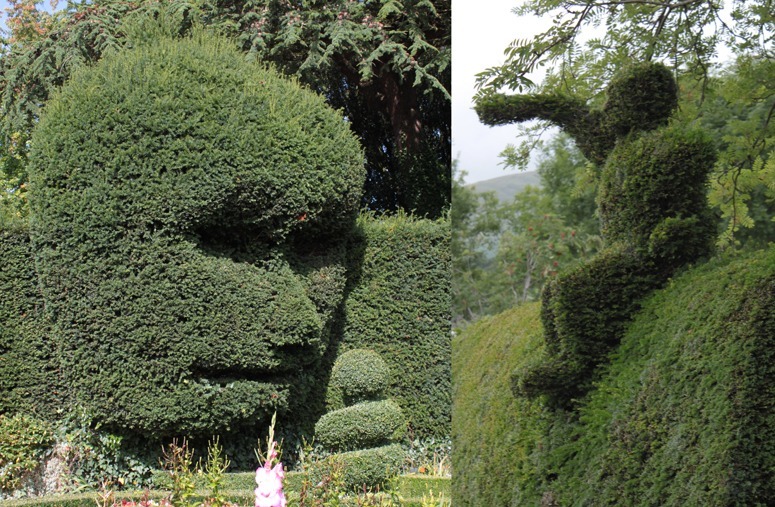 Wiki has a useful entry on the Green Man in world culture. He can be ‘a sculpture, drawing, or other representation of a face… Green Men are frequently found on carvings in churches and other buildings (both secular and ecclesiastical)…. Found in many cultures around the world, the Green Man is often related to natural vegetative deities springing up in different cultures throughout the ages. Primarily it is interpreted as a symbol of rebirth, or “renaissance,” representing the cycle of growth each spring’. 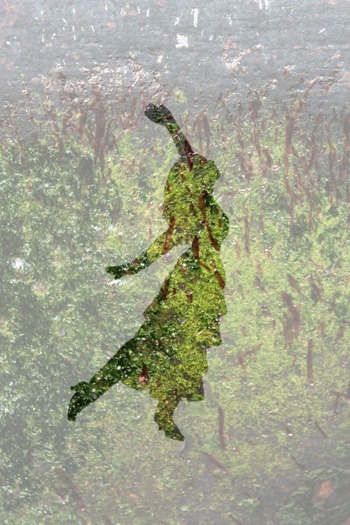 My interpretation is that the Green Man is a symbol of the relationship between Human Nature and Wild Nature. He would be a good subject for an international design competition. Could the two figures in the photographs be Green Children and, if so, where is the Green Woman?. This entry was posted in Garden Design on 6th April 2011 by Tom Turner. I was concluding that the leaves would never return to London’s trees when, in the snap of two fingers, the spring is rushing ahead. The above two photographs were taken two days apart, as March turned to April. The weather was much colder than usual before Christmas but since then has been relatively warm. This entry was posted in London urban design on 3rd April 2011 by Tom Turner.